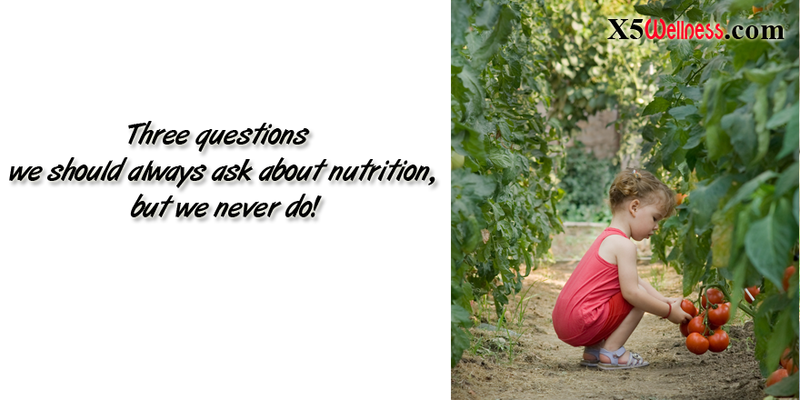 Three questions we should always ask about nutrition, but we never do! The physical part of every human experience, positive or negative, depends on the chemical reactions within the body. What you eat creates, controls and influences the chemistry of your body. Functional nutrition is about building, rebuilding and maintaining a healthy, energetic and responsive body through food. Research into reliable advice on anything with a name such as “nutrition” and “nutrients” includes separation of the meaning of the name and the interpretation of it. Often the name provides a better understanding by cutting through the opinions and interpretations of it. Nutrition from Latin nutritionem means “a nourishing.” Nutritionem itself stems from nutrire meaning to nourish, suckle. Nourish from the Old French norriss means to raise, bring up, foster, provide, maintain, nurture. The image of suckle is the most powerful representation of how nourishment requires love and undivided attention. The words provide, nurture and maintain create a strong foundation for the questions we should ask about our nutrition plan. 1 – What does this thing that I am consuming provide for me? I call it a “thing” because often what we eat is only an interpretation of nutrients without any real connection to nutrition. 2 – What is it that I maintain through what I eat? Many of our mental, emotional and physical activities are supported by what we eat. A foggy thought pattern requires maintenance as much as clear thought pattern. Feelings of sadness, hopelessness and lethargy depend on the way we eat as much as the feelings of joy, hopefulness, and energy. Our inability to move and engage with life physically as well as our ability to walk, run, and play are directly connected with nutrition. 3- What does or nutrition plan nurture? Our current thoughts, emotions, and actions are the foundations of our future. Our nutrition plan nurtures them. With a little attention, we can recognize what we are nurturing through what we eat. The answer to these three questions can change how we live and all of them are independent of detailed research of biochemistry of carbohydrates, proteins, fats, vitamins, minerals, etc. A nutrition plan begins with painting a picture of what is significant in our lives and from there, we can fill in the blanks with as many or as few details we need. What does your nutrition plan provide, maintain and nurture in your life?